UPDATE: Earlier this week, multiple media outlets ran stories about new scientific research suggesting that a "mini ice age" was heading our way in the next 30 years. But there was one issue -- that's not quite what the research said. The attention-grabbing headlines came as a result of a study about modeling solar activity by Valentia Zharkova, a mathematics professor at Northumbria University in England. Zharkova noted that her models suggested that solar activity will fall during the 2030s to levels last seen in 1645. This last period of reduced solar activity, known as a "Maunder minimum," coincided with a period of prolonged cold in North America and Europe known as the "little ice age." While media outlets all over the world (including ourselves) jumped onto the idea of an impending "mini ice age," climate scientists have been quick to point out that greenhouse gas emissions in Earth's atmosphere will outweigh any climate effects caused by solar activity. "The effect [of solar variations] is a drop in the bucket, a barely detectable blip, on the overall warming trajectory we can expect over the next several decades from greenhouse warming," Pennsylvania State meteorology professor Michael Mann told the Washington Post. Science blog IFLScience spoke to Zharkova about her study and the media's reaction. She said that it was the media that picked up on the climate change angle. That being said, she did say that changes in the sun's activity may impact the Earth's environment. "We didn't mention anything about the weather change, but I would have to agree that possibly you can expect it," she told IFLScience. You might want to reconsider boxing up your winter clothes for too long. 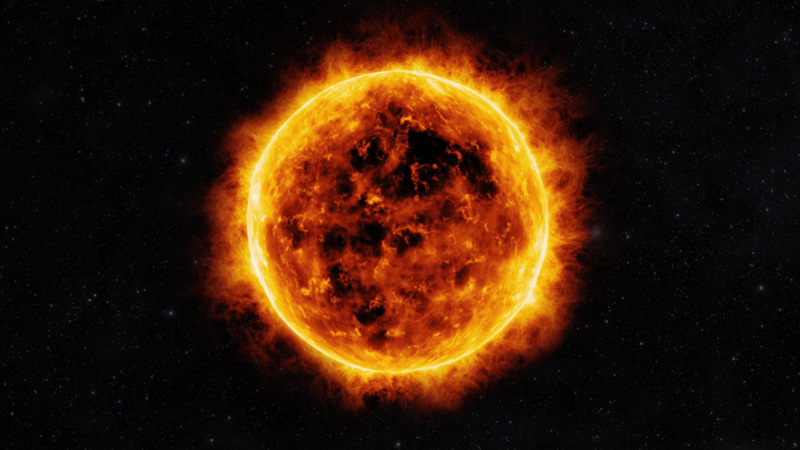 A new study says the Sun's 'heartbeat' could slow down within 15 years, plunging the Earth into another "mini ice age." Professor Valentina Zharkova of Northumbira University presented her new model of predicting solar activity of the Sun to the National Astronomy Meeting in Llandudno on July 9, which predicts activity will fall by 60 percent during the 2030s to resemble conditions last seen during the Maunder minimum ("mini ice age") that began in 1645. According to the published findings by the Royal Astronomical Society, the Sun's activity varies over a cycle lasting around 10 to 12 years, and is colloquially known as a 'heartbeat.' But every heartbeat is a little different, says the RAS, and none of the previous models that looked only at the Sun's deep convection zone have had fully explained fluctuations. Zharkova and her team added a second measurement to the model: looking at the Sun's outer layer as well, deriving their method from a technique called 'principal component analysis' of the magnetic field observations from the Wilcox Solar Observatory in Calif. Zharkova and her team examined three solar cycles-worth of magnetic field activity, covering the period from 1976 to 2008, and compared those observations to average sunspot numbers. Since then, the professor says the model has achieved a 97 percent accuracy in predicting current solar activity. And its next prediction is a bit alarming. The model predicts that the magnetic waves originating from the two different layers of the Sun's interior will become increasingly offset by 2022, creating an irregular heartbeat. By the next heartbeat, between 2030 and 2040, the waves will become "exactly out of synch" and cause "a significant reduction in solar activity." Zharkova said that her team predicts that this will lead to the properties of the Maunder minimum, which brought exceedingly cold winters to Europe and North America between 1645 and 1715.